​Leicester City manager Claude Puel was pleased with his side's display during ​their 1-1 draw with Liverpool, although he believed they could've taken more from the game had they been more clinical. The Foxes endured a disastrous start to the game, conceding after only three minutes through a Sadio Mane strike, although rallied following the early setback, resulting in an equaliser through Harry Maguire on the stroke of half-time meaning both sides left Anfield with a point. 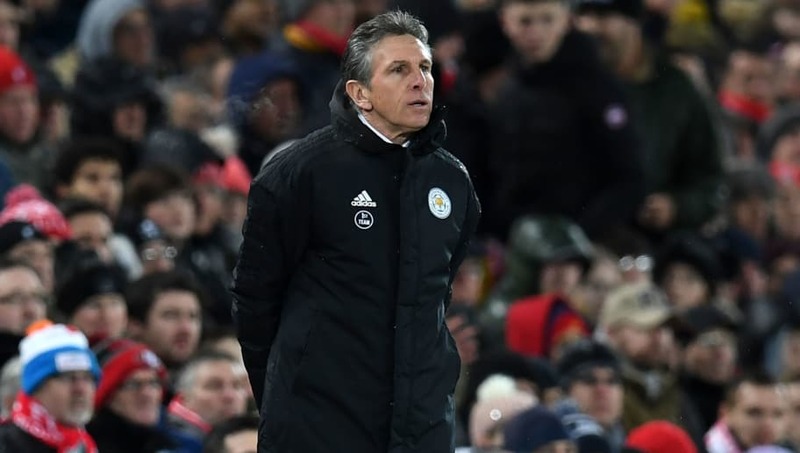 While the response to conceding the early goal pleased Puel, he has called for his team to show more ruthlessness in the final third in future games. Speaking post-match, as quoted by ​Sky Sports, he said: "I think it is a good performance. I have a little regret at the end because we had some fantastic chances at the beginning of the second half. "We started slowly and conceded a goal but after we showed fantastic character and personality. We put them under pressure at the beginning of the second half and in this period we have to be more clinical." Despite gaining a point, the result sees ​Leicester drop two places to 11th in the ​Premier League following other results during the midweek fixtures. As well as the result against the current league leaders, Puel was also asked about the club's transfer business ahead of deadline day, although the Frenchman reiterated his desire to retain the current group of players. He added: "If something is not effective I don't want to comment on this. I am happy if my squad doesn't move. The last day is a crazy day but I hope we keep the good attitude tomorrow." ​​Next for the Foxes, once the transfer deadline has passed, is a home game against Manchester United, and Puel's side should certainly be buoyed heading into the game, after collecting seven points from a possible nine in their last three games against the Premier League's top six.